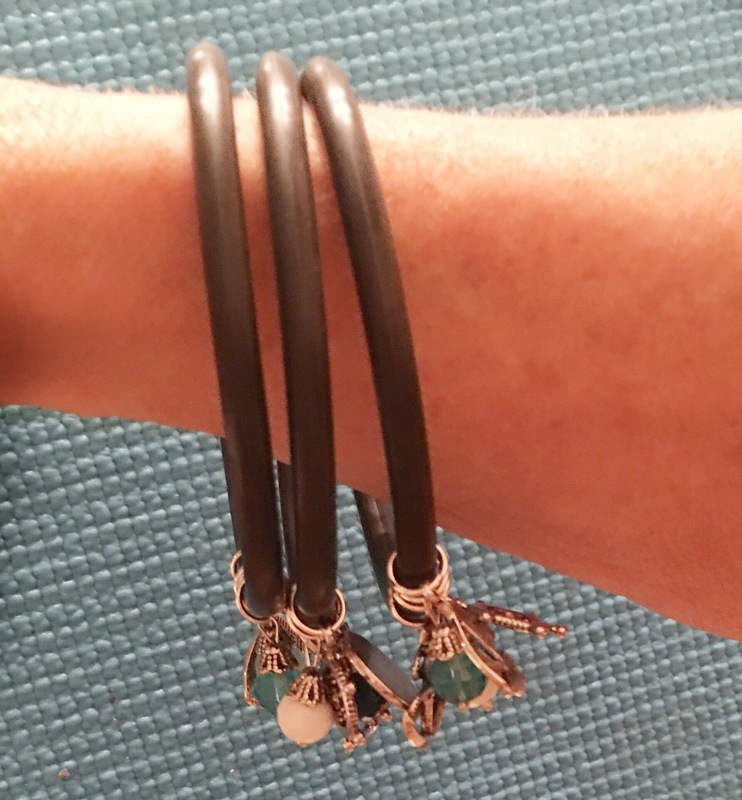 I love hardware jewelry! 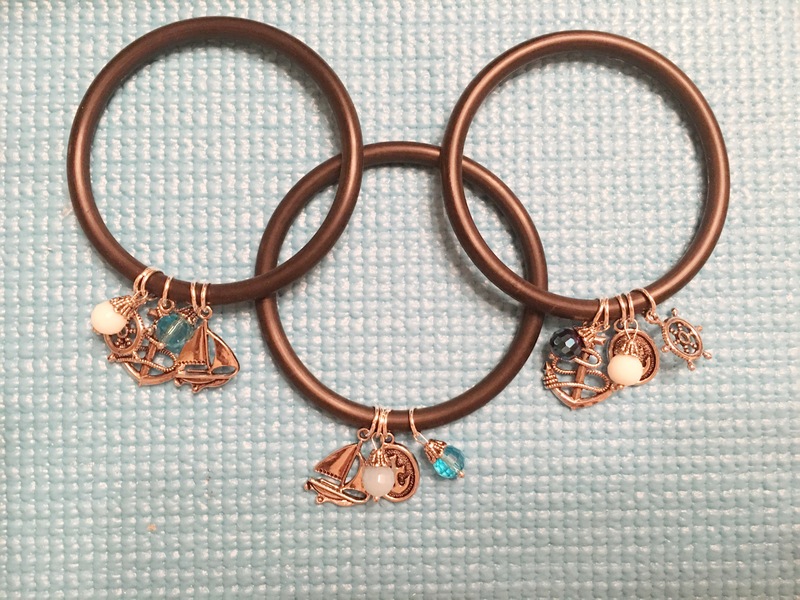 I am always looking for objects to transform into wearable art! During a recent trip to Gatlinburg, Tennessee my husband needed to pick up some supplies from the local hardware store. So,of course, I was more than happy to accompany him……ideas for hardware jewelry bounced around in my head! I wandered up and down several aisles when I came across these black rubber o-rings that fit my wrist perfectly. I wore them around for a couple days just as is (which I think are pretty cool) when I got the idea to bling them up a bit. 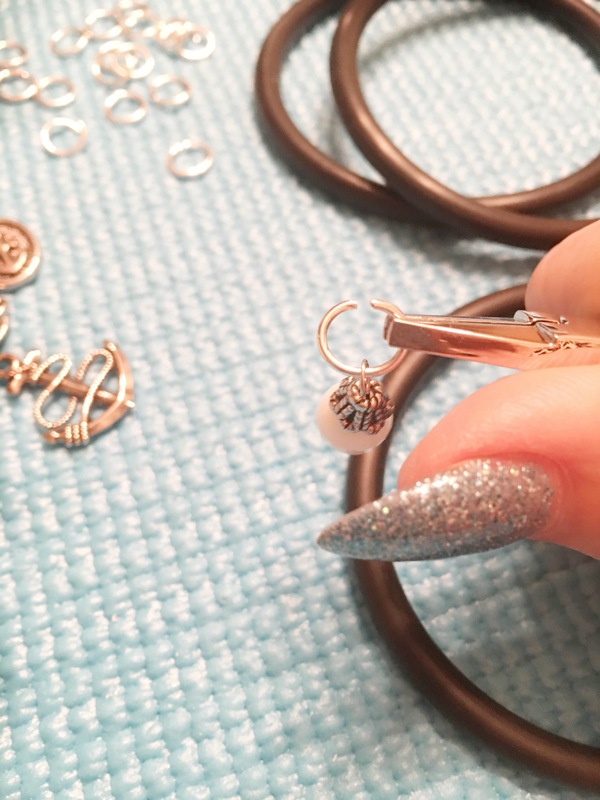 This was perfect as a quick and easy project as I was in the beginning stages of crafting withdrawals. I don’t know about you but when I am on vacation I am flooded with creativity and my mind starts filling with ideas of things to create. So I needed something to do that was quick and didn’t require a lot of supplies to complete. 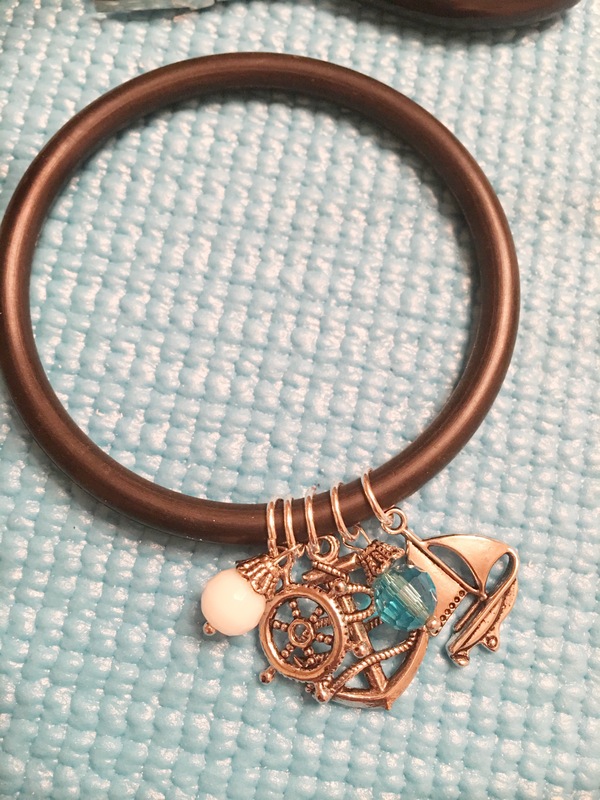 Adding charms to the rubber o-rings was quick and easy and my crafting withdrawal was satisfied (for now). 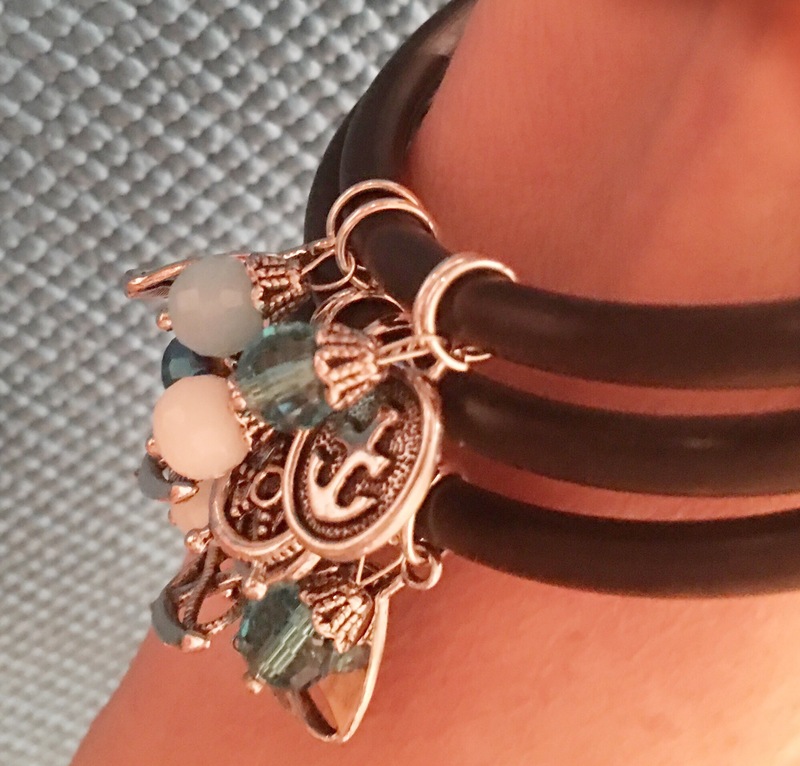 Add as many charms as you like. 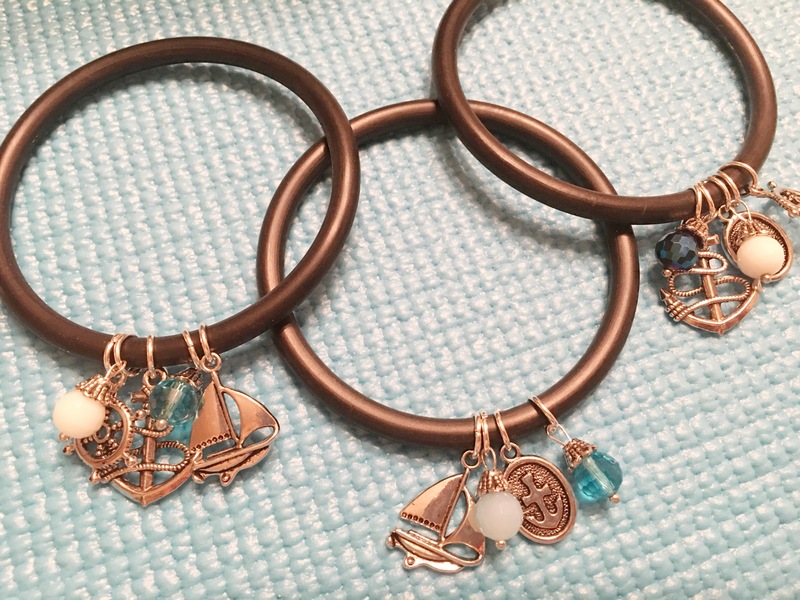 I added 5 charms to two of the bracelets and 4 charms to one of the bracelets. The items I used for this project are listed above in the first photo. 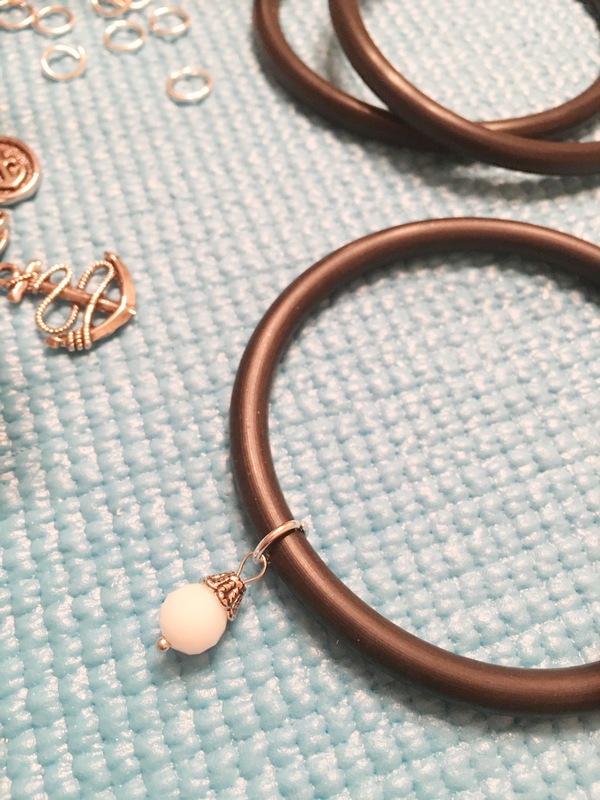 Make sure your jump rings are large enough to fit around your o-ring with a little extra room to move. 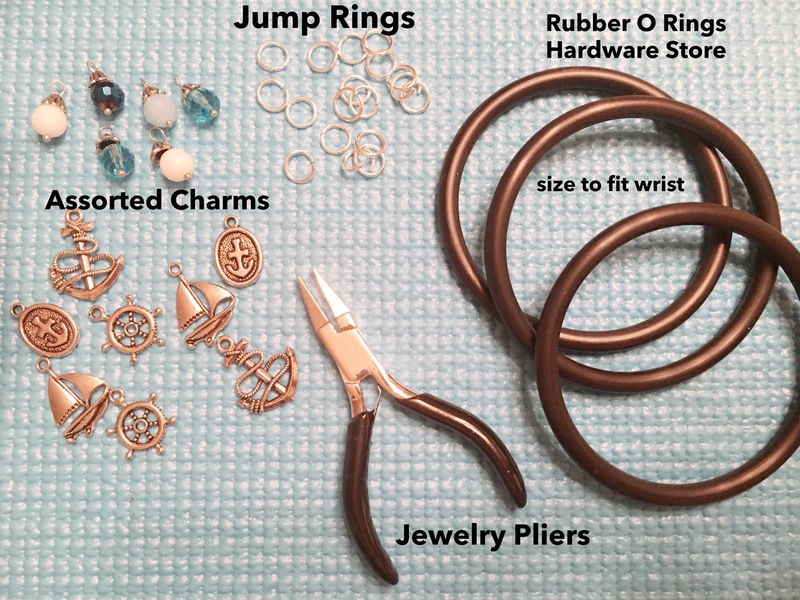 I found all my jewelry supplies at Walmart in Pigeon Forge,TN and the rubber o-rings at Ace Hardware in Gatlinburg, TN. Then just follow the step by step photos above. 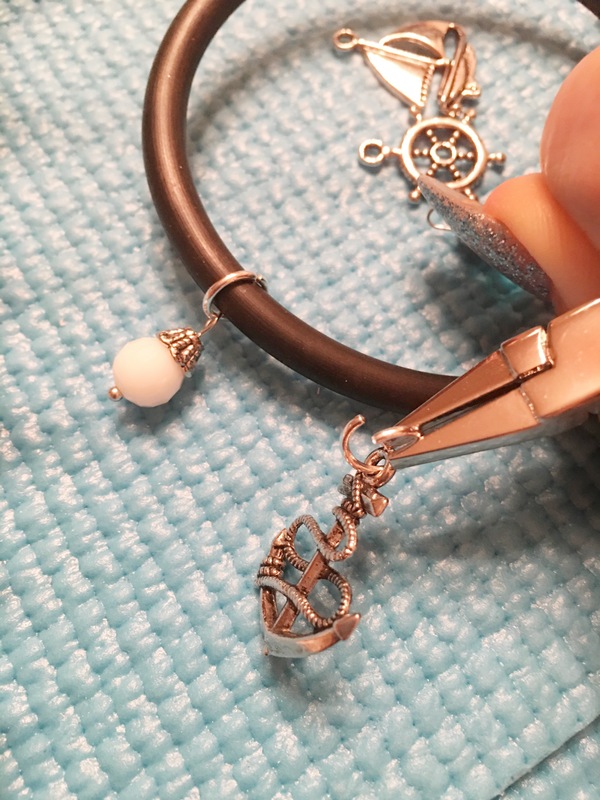 Hope you enjoy this quick and easy Hardware Charm Bracelet DIY. 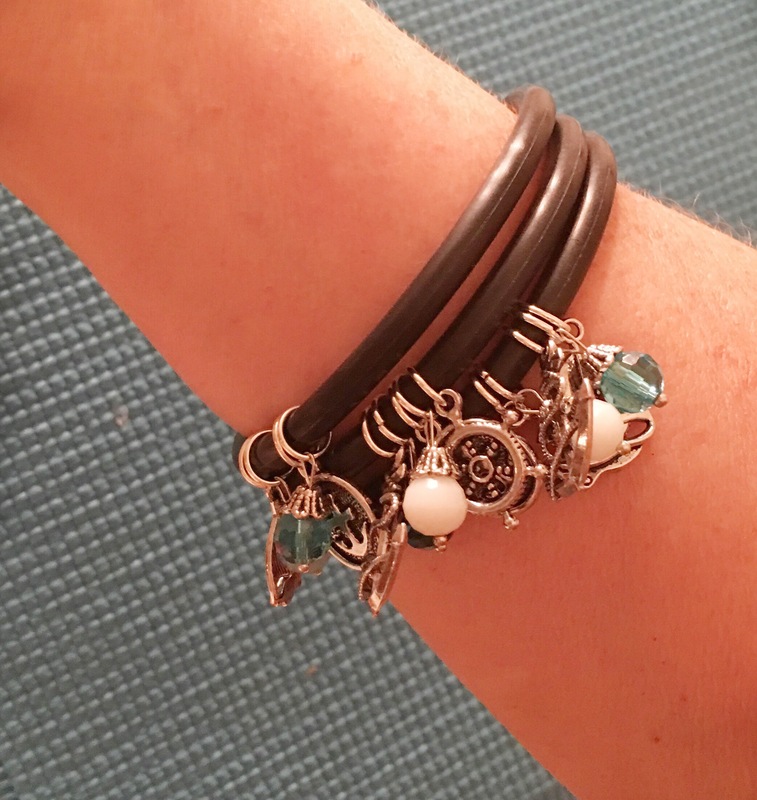 Let me know if you try this project and please share pics with me of your hardware bracelets. I would love to see them! OMG CJ … I would love these… so cute! !